So today it's time to show my COLOURPOP PRESSED SINGLE EYESHADOWS collection. Colourpop started launching this pressed single eyeshadows from last year and it is just a "HIT" product for me. 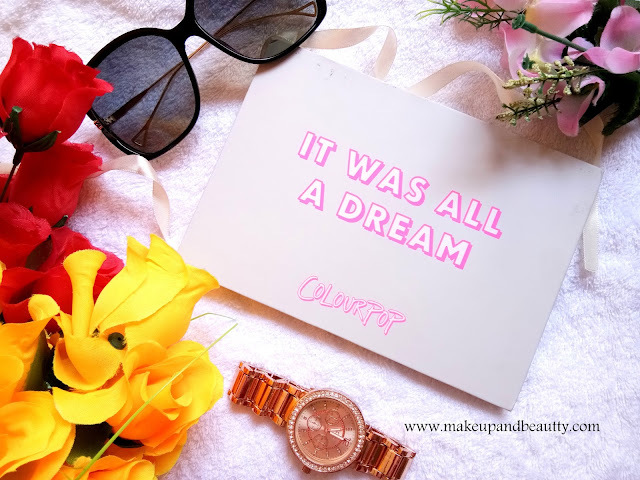 "The powder eyeshadow of your dreams - super pigmented colour in a metallic finish, easily blendable, and velvety soft texture creates a soft focus effect that’s super long-wearing." Each single shadows come with the single palette (It has a mirror in it) which is just free. Sometime Colourpop has offers like if you buy 4 eyeshadows you will get an empty palette free. So in both ways, these single shadows come with palettes. Colourpop Single Eyeshadows comes in three type of finish MATTE, SATIN AND METALLIC. I collected most of the colourpop eyeshadows when they were having the discount on eyeshadows and these were $4 each. The reason for collecting so many Colourpop Eyeshadows is just that these are very very affordable one. All eyeshadows are super pigmented. There is not a single shade in my collection that doesn't work properly. 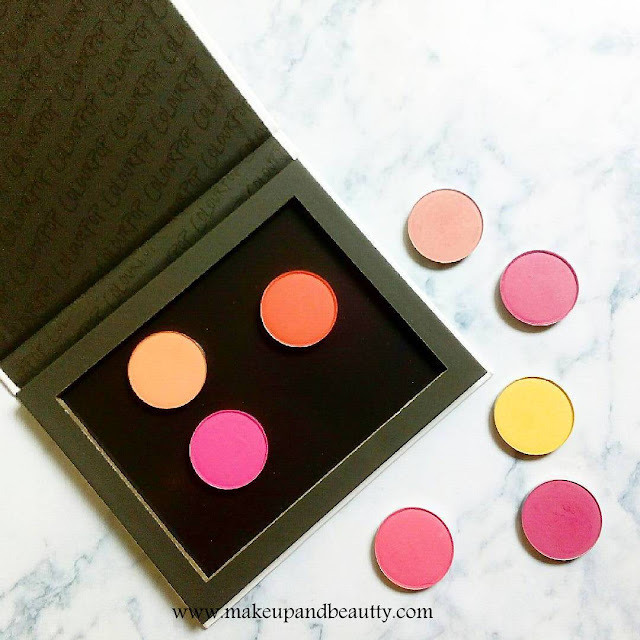 The eyeshadows have the buttery texture and they blend easily into my eyes. There are very fewer fallouts. Matte and satin shades are really good while metallic work best with wet brushes. 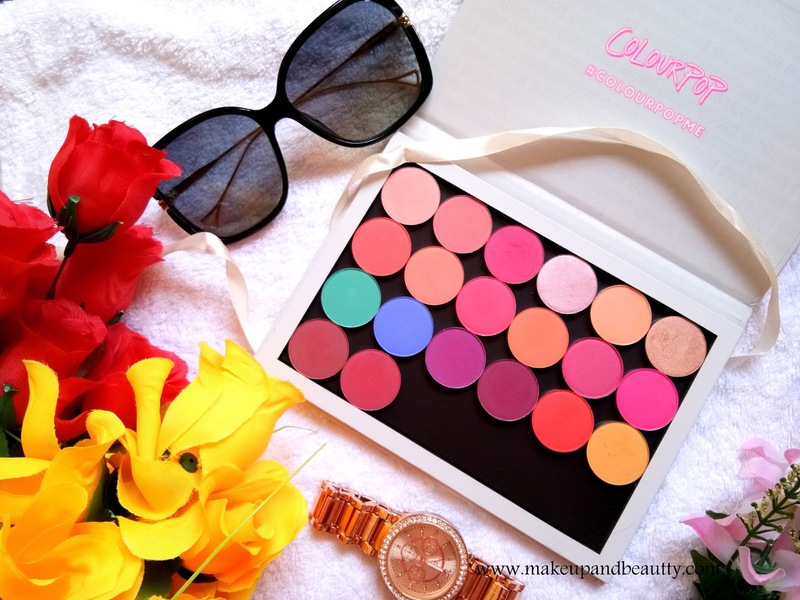 Overall Colourpop Pressed Powder Single Eyeshadows are must-have for your eyeshadow collection stash as they have a wide variety of colors with the different finish and at an affordable price. The palette shown in this picture is also from Colourpop. the empty palettes come in two sizes. I have both of them. The mini palette holds 12 colourpop eyeshadows while the big one holds double i.e.24 colourpop eyeshadows. The palette looks really luxe as it is white in packaging. But again it is a drawback too as white packaging gets dirty very easily. So according to me except the packaging and the brand name that is associated with this palette, it has nothing extra in it. These are easily dupeable empty palettes that you can find in many other brands or in random brands too. From Right (wrist) side to left side the shades are: GOING STEADY, OH SHIP, SECRETS, TIKI, SOFTCORE, FAIR PLAY, ON THE FENCE, ISSUES, TAKE A BREAK,SLIM FIT, CENTERFOLD, FOR SHORE, BEST COAST SCENARIO,SEAS THE DAY, SANDBAR, MUSCLE BEACH, PIECE OF CAKE, 143, GET OUT, STAY GOLDEN.